So, I am going to bind a little quilt. I am using a 1/3 yard strip of fabric and I want to cut it on the bias. 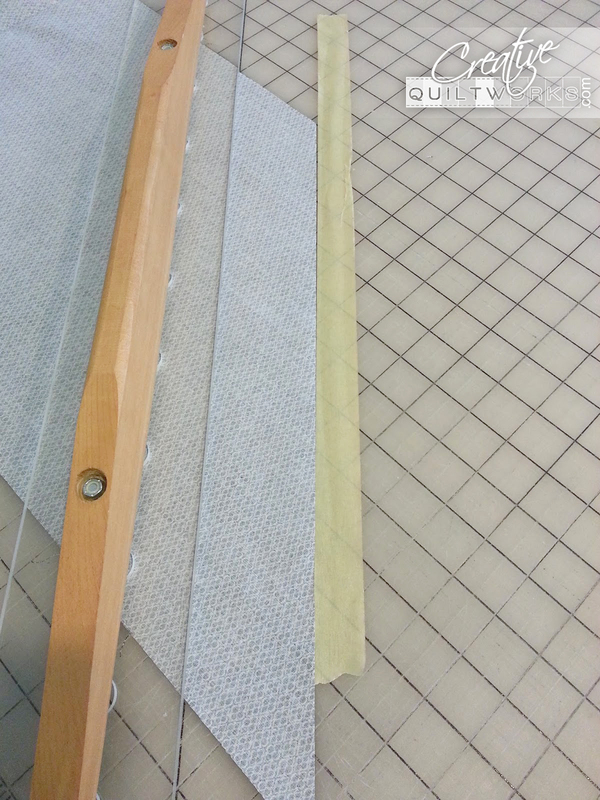 I came up with this idea to make it easier to cut the strips without having to measure every time I cut a strip. 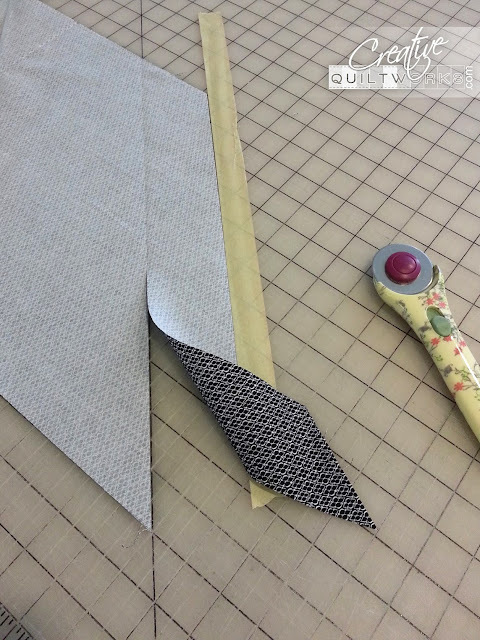 After cutting the fabric on the diagonal line once, just slide the cut edge to the tape and cut along the line marked on the cutting mat. Then you have cut after cut all the same size and no more measuring. 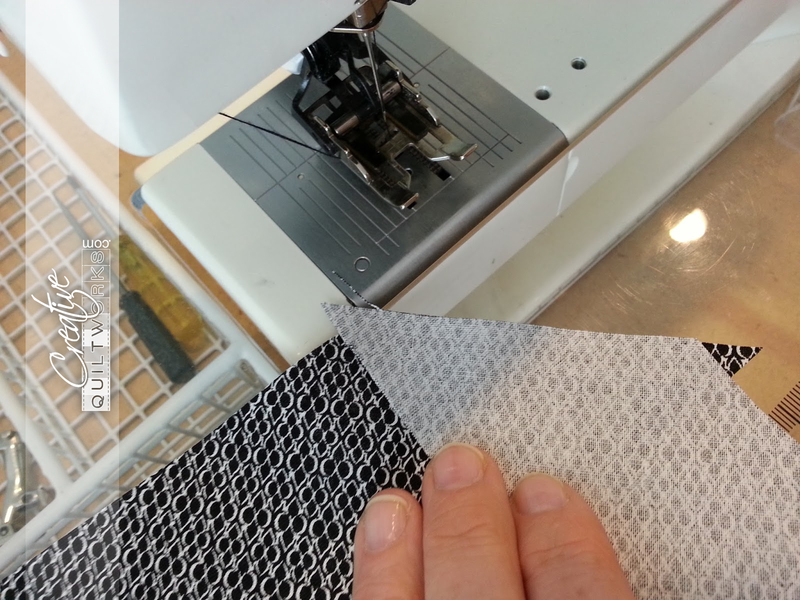 Then join the edges and you have a bias binding strip!